Ceylon Electricity Board Engineers’ Union’s (CEBEU) President, Saumya Kumarawadu, the head of Sri Lanka’s most influential professional trade union, said that they would continue their work-to-rule campaign against the regulator until their demands are fulfilled. “Yesterday, we (CEBEU) successfully launched our work-to-rule campaign and we will continue it until our demands are met. Also, we have decided to boycott all correspondence with the PUCSL,” he said. Meanwhile, speaking to Ceylon FT, several anti-coal activists said they were planning to take legal action if the PUCSL approves the said plan with environmentally-unfriendly coal plants. President Maithripala Sirisena recently instructed the PUCSL to expedite the approval process of the LCLTGEP 2018-2037 to avoid a possible power crisis in the future. Last week, in a letter to PUCSL Chairman Saliya Mathew, Secretary to the President Austin Fernando stated that, subject to PUCSL approval, the Ministry of Power and Renewable Energy aims to get the Cabinet nod for the said plan in the coming weeks. 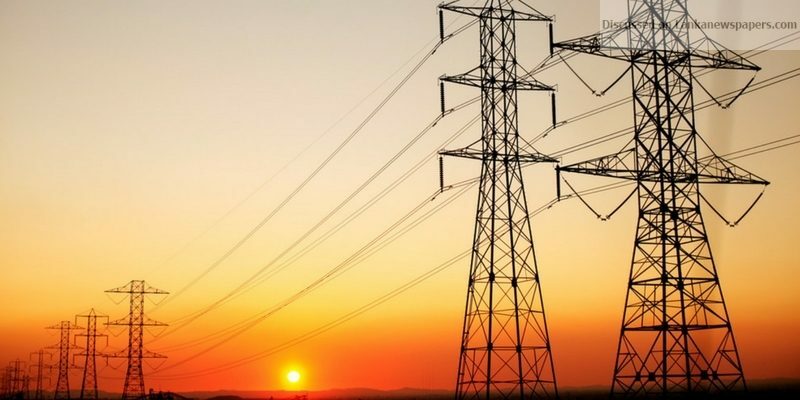 Electricity sector officials also said that they hope to discuss this issue with all relevant Government power sector stakeholders before approving the controversial LCLTGEP at today’s meeting. The Union has urged the Government to expedite the Ceylon Electricity Board’s LCLTGEP 2018-2037 and also requested the Government to make necessary arrangements to commence the subsequent construction of power plants. “We also requested the Government to replace the existing PUCSL board and Director General, who were working in an arbitrary manner exceeding their powers,” CEBEU President Kumarawadu remarked. He said that blackouts during the work-to-rule campaign were unavoidable and therefore the Union expects immediate Government intervention to overcome the prolonged electricity sector problems with timely solutions to their demands before the work-to-rule campaign commences. Their demands include: immediate action to allocate lands earmarked to locate large low-cost power plants as a solution to the electricity crisis; devising a proper mechanism to provide a Government subsidy to CEB for the additional cost borne to provide electricity to customers at a subsidized price without passing the loss to them; allowing the construction of low-cost power plants and effecting necessary amendments to Sri Lanka Electricity Act No 20 of 2009 to remove unnecessary impediments to the proper functioning of CEB. Ceylon Electricity Board (CEB) prepares Sri Lanka’s electricity generation plan for 20 years and updates it every two years. This electricity generation plan is called the Least Cost Long Term Generation Expansion Plan (LCLTGEP) and it identifies new power plants that need to be added to the generation system to cater to the increasing electricity demand of the country. The plan has to be least cost, containing power plants that will cost less to the economy, while also being in line with Government policies. PUCSL, who regulates the electricity industry, has the power to amend and approve the plan when the CEB submits it from time to time. However, in the light of the Government’s anti-coal power generation policy, the regulator recently rejected the approval of the CEB’s original LCLTGEP plan and has given consent to an alternative plan instead, which excludes coal-related environmentally-unfriendly power generation.